Zhongyuan Wang's Homepage - Research Scientist - Facebook Inc.
Research Scientist @ Facebook Inc.
Dr. Zhongyuan Wang currently is a Research Scientist at Facebook. He leads Facebook Query Understanding & Document Understanding (NLP) efforts. More specifically, his team is building the world’s largest query entity linking and document entity linking production services. These services handle billions of Facebook queries and posts every day. His team significantly improves the entity linking quality by 80% in terms of F1 and other important metrics in just 6 months, and makes it become a state-of-art system and one of the most important NLP services in Facebook. Before Facebook, he was a Lead Researcher at Microsoft Research. He led several projects: Probase (a.k.a. Microsoft Concept Graph, knowledge mining from Web), Enterprise Dictionary (knowledge mining from Enterprise), and Digital ME (a personal artificial intelligent assistant). He received his PhD (advisors are Haixun Wang and Ji-Rong Wen), master’s degree (advisor was Xiaofeng Meng) and bachelor's degree in computer science from Renmin University of China. 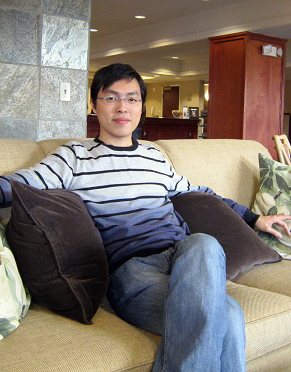 Zhongyuan Wang won Wu Yuzhang Scholarship (Top-level Scholarship at Renmin University), Kwang-Hua Scholarship, and ACM SIGMOD07 Undergraduate Scholarship (one of the seven winners all over the world) when he was a student at RUC. Zhongyuan Wang has published 30+ papers (including ICDE 2015 Best Paper Award) in referred international conferences, such as VLDB, ICDE, IJCAI, CIKM, etc. He was the instructor of tutorial “Understanding Short Texts” (with Haixun Wang) in the top natural language processing conference ACL 2016. He is also the author of book “Short Text Understanding” (published in 2017), and the co-author of the book “Web Data Management: Concepts and Techniques”(published in 2014). Currently, He holds 5 US patents and 1 Chinese patent. Enterprise Dictionary: an enterprise knowledgebase that knows "What-Is" and "Who-Works-On-What"
I lead Facebook NLP related projects. I led three projects in MSRA: Microsoft Concept Graph, Enterprise Dictionary, and Digital ME, which were reviewed by Bill Gates, Qi Lu, Harry Shum, Peter Lee, etc. I proposed the Conceptualization model, which impacts both academia and production. I published 30+ papers in top international conferences, such as SIGMOD, VLDB, ICDE, CIKM, IJCAI, etc. I got the Best Paper Award in ICDE 2015. I gave the tutorial “Understanding Short Texts” in ACL 2016. I have 5 US patents, and 1 Chinese patent. I'm the author of 3 books: "Short Text Understanding" (published in 2017), "Web Data Management: Concepts and Techniques" (published in 2014), and "Windows Phone Programming for Android and iOS Developers" (translator, published in 2012). The goal of this project is to provide better text understanding. A large variety of applications need to handle short texts such as search queries, ads keywords, tweets, image captions, etc. Understanding short texts is a big challenge for machines. Unlike long texts and documents, for which we can use “bag of words” based statistical approaches to analyze, short texts do not contain enough information or statistical signals to make the analysis meaningful. Furthermore, short texts are usually not well-formed sentences. For example, queries submitted to search engines usually do not follow grammar rules. Consequently, approaches based on sentence structure analysis do not work well either. Human beings are good at deriving meaning from noisy, ambiguous, and sparse input. We understand short texts because knowledge in our mind enriches the input to produce meaning. Thus, in order for machines to understand short texts, we need to supply such knowledge to machines so that the gap between insufficient input and understanding can be bridged. We have been continuously improving our conceptualization mechanism, which is at the core of our short text understanding services. We leverage the co-occurrence network to enhance sense disambiguation. We also generate the mappings between auxiliary words and concept clusters. These can help sense disambiguation using context auxiliary words. –Microsoft Power Query is an Excel add-in that enhances the self-service Business Intelligence experience in Excel by simplifying data discovery and access. Power Query enables users to easily discover, combine, and refine data for better analysis in Excel. Power Query includes a public search feature that is currently intended for use in the United States only. Shuo Yang, Lei Zou, Zhongyuan Wang, Jun Yan and Ji-Rong Wen, Efficiently Answering Technical Questions — A Knowledge Graph Approach, in the 31st AAAI Conference on Artificial Intelligence (AAAI-17), February 2017. Zhongyuan Wang, Fang Wang, Haixun Wang, Zhirui Hu, Jun Yan, Fangtao Li, Ji-Rong Wen, and Zhoujun Li, Unsupervised Head-Modifier Detection in Search Queries, in ACM Transactions on Knowledge Discovery from Data (TKDD), Volume 11 Issue 2, December 2016. Taesung Lee, Seung-won Hwang, and Zhongyuan Wang, Probabilistic Prototype Model for Serendipitous Property Mining, in the 26th International Conference on Computational Linguistics (COLING), December 2016. Xiangyan Sun, Haixun Wang, Yanghua Xiao, and Zhongyuan Wang, Syntactic Parsing of Web Queries, in Conference on Empirical Methods in Natural Language Processing (EMNLP), November 2016. Taesung Lee, Seung-won Hwang, and Zhongyuan Wang, Trivia Quiz Mining Using Probabilistic Knowledge, in IEEE/ACM International Conference on Advances in Social Networks Analysis and Mining (ASONAM), August 2016. Wen Hua, Zhongyuan Wang, Haixun Wang, Kai Zheng, and Xiaofang Zhou, Understand Short Texts by Harvesting and Analyzing Semantic Knowledge, in IEEE Transactions on Knowledge and Data Engineering (TKDE), Volume: PP, Issue: 99, May 23, 2016. Zhiyi Luo, Yuchen Sha, Kenny Zhu, Seung-Won Hwang, and Zhongyuan Wang, Commonsense Causal Reasoning between Short Texts, in the 15th International Conference on Principles of Knowledge Representation and Reasoning (KR 2016), April 2016. Peipei Li, Haixun Wang, Kenny Q Zhu, Zhongyuan Wang, Xuegang Hu, and Xindong Wu, A Large Probabilistic Semantic Network Based Approach to Compute Term Similarity, in IEEE Transactions on Knowledge and Data Engineering (TKDE), Volume: 27, Issue: 10, October 1 2015. Jianpeng Cheng, Zhongyuan Wang, Ji-Rong Wen, Jun Yan, and Zheng Chen, Contextual Text Understanding in Distributional Semantic Space, in ACM International Conference on Information and Knowledge Management (CIKM), ACM – Association for Computing Machinery, October 2015. Zhongyuan Wang, Fang Wang, Ji-Rong Wen, and Zhoujun Li, Bring User Interest to Related Entity Recommendation, in the 4th IJCAI International Workshop on Graph Structures for Knowledge Representation and Reasoning (GKR 2015), July 2015. Fang Wang, Zhongyuan Wang, Senzhang Wang, and Zhoujun Li, Exploiting Description Knowledge for Keyphrase Extraction, in PRICAI, December 2014. Fang Wang, Zhongyuan Wang, Zhoujun Li, and Ji-Rong Wen, Concept-based Short Text Classification and Ranking, in ACM International Conference on Information and Knowledge Management (CIKM), ACM – Association for Computing Machinery, October 2014. Kai Zeng, Jiacheng Yang, Haixun Wang, Bin Shao, and Zhongyuan Wang, A Distributed Graph Engine for Web Scale RDF Data, in PVLDB, August 2013. Taesung Lee, Zhongyuan Wang, Haixun Wang, and Seung-won Hwang, Attribute Extraction and Scoring: A Probabilistic Approach, in International Conference on Data Engineering (ICDE), , 2013. Peipei Li, Haixun Wang, Kenny Q. Zhu, Zhongyuan Wang, and Xindong Wu, Computing Term Similarity by Large Probabilistic isA Knowledge, in ACM International Conference on Information and Knowledge Management (CIKM), 2013. Jingjing Wang, Haixun Wang, Zhongyuan Wang, and Kenny Zhu, Understanding Tables on the Web, in International Conference on Conceptual Modeling, October 2012. Ruxia Ma, Xiaofeng Meng, and Zhongyuan Wang, Preserving Privacy on the Searchable Internet, in International Journal of Web Information Systems, Vol. 8 Iss: 3, pp.322 - 344, August 2012. Bolin Ding, Haixun Wang, Ruomin Jin, Jiawei Han, and Zhongyuan Wang, Optimizing Index for Taxonomy Keyword Search, in ACM International Conference on Management of Data (SIGMOD), May 2012. Masumi Shirakawa, Haixun Wang, Yangqiu Song, Zhongyuan wang, Kotaro Nakayama, and Takahiro Hara, Entity Disambiguation based on a Probabilistic Taxonomy, no. MSR-TR-2011-125, November 2011. Taesung Lee, Zhongyuan Wang, Haixun Wang, and Seung-won Hwang, Web Scale Taxonomy Cleansing, in VLDB, September 2011. Xiangyu Zhang, Jing Ai, Zhongyuan Wang, Jiaheng Lu, and Xiaofeng Men, An Efficient Multi-dimensional Index for Cloud Data Management, in proceedings of the first international workshop on Cloud data management, November 2009.